The DeBows Pathfinders took a trip to Double Trouble State Park in Bayville, NJ on Saturday, February 10th. It was a cloudy, but warm February day, with temperatures in the 50’s. Some pictures taken during the hike can be viewed below. The next Pathfinders hike is scheduled for Saturday, March 10th. 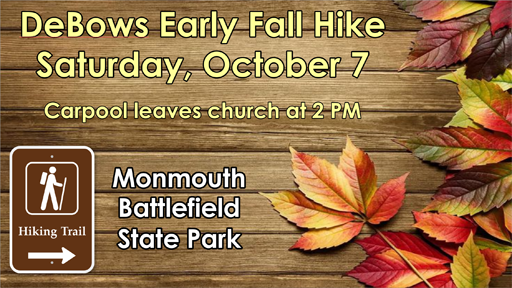 They will meet at the church at 10:00am and then go to Allaire State Park.